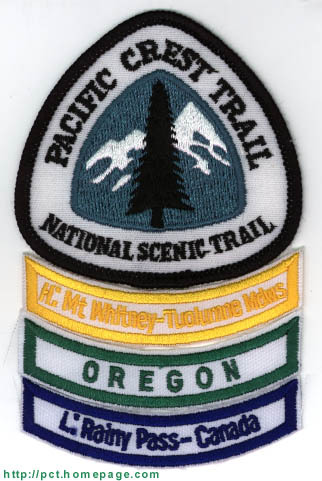 Each section patch is a rocker strip designed to fit under the Pacific Crest Trail patch. 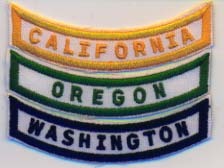 The sections in California are embroidered in gold thread, those in Oregon are in green, and those in Washington are in blue. To see what the patches look like, click on the Item # by the respective trail section name.